In October 2011, Luis Youn, professor and chair of the Electrical and Computer Engineering Department in the Southern Illinois University Edwardsville’s School of Engineering conducted a lecture series on the energy deregulation process at Hanyang University in South Korea. According to Youn, while deregulation began in Chile about 50 years ago, many countries, including Korea, are only in the early stages of the process of breaking the control of energy generation, transmission and distribution from one entity. Having studied the history of the deregulation process for 15 years, Youn is well prepared to address the successes and failures of the various governments that have already deregulated their energy industry. Preschool-aged children from Southern Illinois University Edwardsville’s Early Childhood Center and their teachers recently set out on a field trip to see the SIUE science building construction site. The preschoolers were delighted to watch as a wall panel was loaded on a crane and lifted into place. After watching the placement of the wall panel, Mark Grinter, assistant professor in the Department of Construction, led the children in an activity to measure distance by pacing. The trip concluded with a hands-on exercise using surveying equipment with the help of Dan Baker, Civil Engineering student, Ryan Fries, assistant professor of Civil Engineering, and Susan Morgan, chair and professor of Civil Engineering. Southern Illinois University Edwardsville Civil Engineering Alumnae, Alicia DeShasier, won a gold medal for Team USA in the javelin competition at the 2011 Pan American Games held in Guadalajara, Mexico Oct. 27, 2011. DeShasier, a 2007 graduate, had never competed in track and field until her senior year at SIUE. Despite the late start she was an immediate success. In her first competition she broke the SIUE’s javelin record and went on to finish 10th at the 2007 NCAA Division II Outdoor Championship. After graduation DeShasier competed nationally while working at Oates Associates in Collinsville as a civil engineer. In 2010 she took a job with Strand Associates in Madison, Wisc. where she helps design roadways, and is a volunteer assistant coach for the University of Wisconsin-Madison track and field team. Where does this SIUE civil engineering graduate go from here? With DeShasier’s goal of achieving a spot on the 2012 U.S. Team for the Olympic Games in London in mind, the next stop on her amazing journey is the June 2012 Olympic Trials to be held in Eugene, Ore.
Brent Vaughn, civil engineering laboratory specialist and lecturer at SIUE, was presented with the Outstanding Faculty/Practitioner Advisor Award at the ASCE Region 7 Annual Meeting in Jackson, Wyo. The event marked the first time the award was given. It honors civil engineering professionals deserving of recognition for service to student chapters and to ASCE. Recipients of the award provide guidance and direction for young engineers. Vaughn serves many roles within the ASCE. He is the SIUE ASCE Student Chapter faculty advisor, the ACSE newspaper editor for the St. Louis section, and a member of the Environmental and Water Resources Committee and the History and Heritage Committee for the St. Louis section. Former ASCE President Niel Palmer presented current SIUE Civil Engineering Student Melissa Strzelczyk with an ASCE St. Louis Section Scholarship Award at the 2011 ASCE St. Louis Section Annual Dinner. Scholarships funded through donations, dues and sponsors are awarded to students from universities in the St. Louis Section. Previously, Strzelczyk was awarded a 2011-20112 scholarship by the American Council of Engineering Companies of Illinois and also was named the Civil Engineering Department’s Outstanding Junior at the Feb. 2011 awards banquet. The ASCE St. Louis section newsletter reports that William Stahlman, an SIUE graduate with a bachelor’s in civil engineering, was awarded this year’s Young Engineer Award for Professional Achievement. Stahlman is a project engineer for the Tri-City Regional Port District where he has been instrumental in nearly all construction projects at the Port over the past eight years. He serves as the Membership Committee chair and the Practitioner Advisor for SIUE, and has been active on the Young Engineers’ Committee. Stahlman also served on the board of directors for the Southwestern Madison County Chamber of Commerce, participates in the Granite City High School Job Shadow Program and is a guest lecturer for Washington University’s engineering classes. Andreas Stefik, assistant professor in the department of computer science at Southern Illinois University Edwardsville, received the 2011 Java Innovation Award at the recent JavaOne Conference in San Francisco, Calif. The award, also known as the Duke’s Choice Award, recognizes extreme innovation in the world of Java technology and is granted to the most innovative projects using the Java platform. Stefik and his team of researchers were recognized for working to make the NetBeans development environment accessible to the blind and visually impaired. NetBeans is a specialized computer program that facilitates software development. Computer programming is more challenging for the blind and visually impaired due to its visual orientation. With support from the National Science Foundation’s Broadening Participation in Computing program, Stefik’s research team aims to empower blind and visually impaired individuals to overcome the barriers of programming and ultimately obtain careers in the computing profession. Stefik is thrilled to have been nominated and selected by Oracle Corporation, the industry group that presents the award. “It’s a prestigious award to receive and I’m frankly still in a bit of shock that my research group won,” he said. School of Engineering Dean Hasan Sevim said he is not surprised by the honor. “Andy is a cutting-edge researcher in his field, and I expect him to continue to be recognized for his contributions in the future,” he said. Traffic accidents place incident responders such as law enforcement, fire and rescue, and tow operators in danger every day. Huaguo Zhou and Ryan Fries, assistant professors of civil engineering in the Southern Illinois University Edwardsville School of Engineering, have developed a Highway Incident Management Operational and Training Guide designed to improve responder safety by creating a training that details the roles of all agencies. With 14 training sessions scheduled by the Illinois Department of Transportation (IDOT), the researchers were pleased to learn that the Transportation Research Board (TRB) published the innovative final report from this research in its weekly newsletter. After receiving positive feedback from pilot tests conducted in Chicago and St. Louis, the researchers released the manual to IDOT. A copy also has been sent to the National Fire and Police Academy to be considered for national accreditation. Zhou believes the report will become a key reference for many agencies in the future. 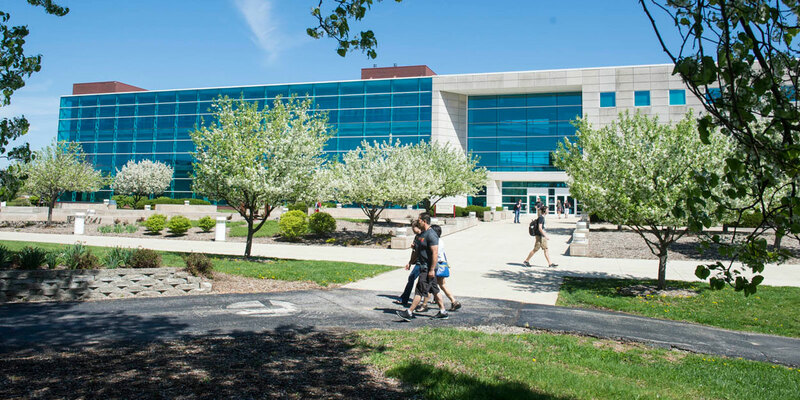 In fall 2009, the Southern Illinois University Edwardsville School of Engineering’s undergraduate enrollment reached 926, a record high in the history of the School. Since then, that record has been broken twice, with an enrollment of 1,000 students in fall 2010 and 1,007 in fall 2011. The graduate enrollment remained constant during the last these years at 230 in 2009, 241 in 2010 and 234 in 2011. Director of Engineering Student Services Loen Graceson-Martin pointed to new programs that improve the freshmen retention rate from 80 percent to 90 percent. Cem Karacal, professor of industrial and manufacturing engineering and associate dean, recounted successful programs such as the 2+2 program with regional community colleges, the dual-diploma program in industrial engineering with the highly reputable Istanbul Technical University–Turkey, and K-12 outreach in the region. “It is very rewarding to meet company recruiters at the Career Fair who tell us that they are back because of the quality of our graduates,” he said. The School of Engineering offers undergraduate programs in civil, industrial, electrical, computer, mechanical and manufacturing engineering, along with computer science and construction management. In addition, master’s degree programs are offered in civil, industrial, mechanical and electrical engineering, and computer science. The school also has a very successful collaborative doctoral program with SIU Carbondale. A team of researchers headed by Gary Mayer of the Southern Illinois University Edwardsville School of Engineering’s Computer Science Department have been awarded a $500,000 National Science Foundation grant to study the effects of mentoring on student interest in pursuing science, technology, engineering and mathematics (STEM) careers. Introducing the popular Botball robotics competition to communities unfamiliar with the program from the Southern Illinois and Southern California areas, 50 middle-school teachers from each area will be prepared as mentors utilizing four different techniques. About 500 students from diverse backgrounds will be coached by mentors. The student participants’ expectations of success will be surveyed before and after the program and the results, along with feedback from the mentors, will enable researchers to examine the effectiveness of the different mentoring techniques. The Southern Illinois University Edwardsville School of Engineering’s Department of Construction is proud to announce that a cross campus research team has been awarded a $100,000 Major Research Instrumentation grant by the National Science Foundation. This award enables researchers to acquire a cutting edge laser scanner and advanced modeling software to explore connections to other disciplines. No larger than a typical piece of survey equipment that you see in use on the side of the road, the scanner will allow students to get a detailed model of a site in a short amount of time by sending out a series of laser beams and measuring how long it took for that beam of light to bounce off something and come back. The team intends to investigate ways to work across the disciplines to best sustain cultural, physical and biological resources, but the instrument will also be a valuable tool in the fields of each department individually. Gordon believes the training construction students will receive will be of great use to them after graduation. The beginning of the Fall 2011 semester brought a key donation to researchers at Southern Illinois University’s School of Engineering who are developing technology that will revolutionize the current power industry. The Bitrode Corporation in Green Park, MO, contributed 35 control system modules valued at $10,000, to help with the research project. Homes with solar roofs have the potential to generate more energy than the household can use. These homeowners have the option to sell this excess power to the power company. As more and more homes adopt solar power, however, the current grid system used by the utility companies will not be able to accommodate the backflow of power. Dr. Andy Lozowski, associate professor in the Department of Electrical and Computer Engineering, has watched the interest in solar power grow and has been leading research to find an alternative method. “With these specially developed boards donated by Bitrode, the School of Engineering researchers will be able to progress toward the first deployment of an experimental microgrid,” he said. Working with the belief that in the future most homes will be equipped with solar roofs and house electric cars whose batteries will be used as energy storage, Lozowski’s microgrid will be built from the ground up by household residents who purchase equipment from retail stores. Southern Illinois University Edwardsville’s student chapter of Engineers Without Borders’ (SIUE-EWB) latest project in Pimienta, Honduras received the ultimate test one week after its completion. Working in partnership with the Gateway Professional Partners Chapter and the newly formed SIU Carbondale chapter the group spent 7 days in August building a $20,000 bridge culvert and roadway replacing what had been destroyed by Hurricane Mitch in 1998. How did the project stand up to the intense weather? “The mayor of Pimienta has reported that the culvert performed as designed during the storm and the community is very grateful to have access restored after so many years,” said Damien Di Vittorio, president of the EWB-SIUE. Founded in the fall of 2008 the student group is not exclusively for engineering students. It designs projects, informs the public, raises funds and learns about the world with students from across campus. The Southern Illinois University Edwardsville School of Engineering’s Department of Construction recently was awarded a donation from the Southern Illinois Construction Advancement Program (SICAP) to acquire high-tech tools to add to the department’s education and research toolbox. The $25,500 gift will be used to acquire a heavy equipment simulator and a thermal camera. Chris Gordon, assistant professor of construction and chair of that department, said: “SICAP has assisted us at several formative points in our department’s history by helping us launch new programs, such as the Construction Leadership Institute and Land Surveying Specialization, and by supporting our top-notch faculty team with leading edge equipment. SICAP was founded in 1992 to support the advancement of the construction industry through safety, education, and economic development programs. Several area construction companies are contributing members of this not-for-profit organization. Students from Southern Illinois University Edwardsville’s School of Engineering placed second recently for their design of an adjustable-blade ceiling fan in the 2011 Design for Digital Manufacturing (DDM) Competition. It stated: “This year’s contestants had to design a product intended to be, or be part of, a system that utilizes direct digital manufacturing. The product must be able to be used in another assembly and the design should represent a fully functioning prototype. The competition is conducted by SME’s Rapid Technologies & Additive Manufacturing Community (RTAM) community whose goal is to illustrate the impacts and benefits of direct digital manufacturing. For more information, visit http://news.thomasnet.com/companystory/SME-announces-2011-Design-for-Digital-Manufacturing-winners-600585. The Southern Illinois University Edwardsville East St. Louis Charter High School team finished among four finalists in the double elimination round of a recent international Botball competition of 63 teams. The competition was held earlier this month in Orange County, Calif., featuring teams from around the globe including Poland, Austria and Qatar. According to the KISS (Keep It Simple Students) Institute for Practical Robotics, a national non-profit educational organization, Botball is an educational robotics program that equips students with the skills, experience and opportunities required to design, build and program autonomous robots that are used in regional, national and international competitions. The SIUE Charter High School team of five students also received a Judges’ Choice Certificate: The Mars Rover Viking Award for “achievement against great odds,” because the school does not have a practice table, as do the majority of competing teams. Students from the Charter High School who attended included juniors Sergio Cole and Quewon Smith seniors Juliann Bynum, Jeremiah Rogers and Deborah Wilson. “We’re very proud of these kids,” said Rebecca Bemrose-Fetter, a recent SIUE graduate with a bachelor’s in mechanical engineering, who traveled with the students to the tournament and provided them with assistance. Bemrose-Fetter, who was with the SIUE Center for Science, Technology, Engineering and Mathematics (STEM) Research, Education and Outreach for three years until she graduated in May, had used the botball platform in a class she took during her studies at SIUE. Also traveling with the students were SIUE graduate assistant David Utoon-Owaji Brown, an electrical and computer engineering major who acted as a mentor to the students for several months, and Charter High School teacher Carolyn Kribs. The Charter High School students had placed third in the double elimination round at the 2011 Greater St. Louis Botball Regional Tournament, which was held at SIUE, qualifying them to advance to the next level. The regional competition, hosted by KISS and the SIUE School of Engineering, featured 17 teams from four states. Weinberg, who also is a professor of computer science at SIUE and who has served as department chair, organized the first regional competition five years ago. Student participation in the current competition was made possible by the SIUE schools of Education and Engineering, and the Graduate School, the SIUE Foundation, the office of the Provost and the STEM Center. With teams from universities across the country, the Industrial and Manufacturing Engineering (IME) student team from SIUE had plenty of competition in the 2011 Society of Manufacturing Engineers (SME) Design for Direct Digital Manufacturing Competition, but that did not deter them. Out of 20 teams, the SIUE IME team ranked second. Winners were announced at the SME’s annual RAPID Conference & Exposition held in Minneapolis in May 23-26. SIUE’s award-winning design was a customizable ceiling fan with adjustable blades, which allows for multiple air-flow rates as opposed to the standard multiple speeds ceiling fans. Advised by H. Felix Lee, professor of industrial and manufacturing engineering, the IME team consisted of undergraduate students Edward Schwartzkopf Jr., Ismail Kuru, Andrew Parcels and Paul Jansen. Hands enthusiastically shot up around the room when 2002 School of Engineering alumna Tyria Riley asked, “How many people want to go into engineering?” Riley, originally from East St. Louis, engaged participants of the 2011 High School Outreach Program by discussing her student life experiences while at Southern Illinois University Edwardsville, as well as sharing insight on working as an engineer in industry. Riley’s encouraging talk was only one of many features included in this year’s summer camp hosted by the School of Engineering. The week-long, residential program offered in two separate sessions during the second and third weeks of June gave more than 50 local high school sophomores, juniors and seniors a taste of college life, as they explored topics in computer science and various disciplines, including civil, electrical, industrial and mechanical engineering. Camper Sergio Cole of East St. Louis said he mostly enjoyed the computer science activity that allowed students to create and program an original video game. Aside from this, students also participated in other hands on lessons, like building hovercrafts, fuel-cell cars and robots. Current SIUE students helped campers navigate the ins and outs of the summer program. Amy Sunderlin, a senior in computer engineering, and Emre Savas, a junior majoring in industrial engineering, served as counselors. In their roles, they assisted program participants in the classroom and recreational activities during evenings. “This camp is helping them move from concept to application and see what they can really do with engineering,” Savas said. Many of the students come in with passions for math, science and technology, but with limited knowledge about what each engineering discipline does, according to Associate Dean Cem Karacal. “Therefore, the program is designed not only to introduce engineering concepts, but also various engineering disciplines through hands-on projects,” he said. The Southern Illinois University Edwardsville Alumni Association is proud to announce that the recipient of the 2011 Great Teacher Award is Bradley Noble. Noble is an associate professor of Electrical and Computer Engineering with the SIUE School of Engineering. Throughout his 15-year tenure with the University, Noble has received several awards for his innovative and charismatic teaching style. He earned his bachelor’s and master’s degrees from SIUE in Electrical Engineering and his doctorate in Science from Washington University in St. Louis in 2000. The Great Teacher Award was established in 1970 by the SIUE Alumni Association. Each year, an SIUE faculty member is recognized for continuous excellence in teaching. Each recipient receives a $1,000 award, a commemorative plaque and recognition by having their name engraved on the Great Teacher Award plaque displayed at Birger Hall. He has been actively involved in the SIUE Undergraduate Research Academy, providing collaboration and support to students’ research. His nominators said Noble helps students build character and integrity through teaching with passion and respect, and integrates positive learning opportunities in and out of the classroom environment. “I can say that I could have completed my degree without him but I cannot say that I would have obtained such a degree of knowledge and problem solving skills towards engineering without him”, said recent graduate Jordon Albers. Additionally, Noble’s nominators said he blends experiences from his life into current projects and teaching in his curriculum, and has taken a personal interest in the education of his students. It was referenced that he continuously encourages students and faculty to strive for the best, as well as encourages students to continue their higher education. For more information, contact Katie Bennett at kabenne@siue.edu or (618) 650-2762. Press ready photo of Dr. Noble is available upon request. SIUE East St. Louis Charter High School sophomores Brandon Rice, DeAndre Howard, and Quewon Smith along with junior Jeremiah Rogers understand firsthand that the road to victory is paved with sacrifice, dedication, and diligence. The four comprised the SIUE Charter School botball team that competed in the 2011 Greater St. Louis Botball Regional Tournament held in April at SIUE. The SIUE Charter High School proudly placed third out of 17 teams, and their journey to this accomplishment began well before the tournament. The team worked tirelessly to prepare for the competition, including designing and building their robots, as well as constructing their very own practice boards for test runs. Maurice Mosley, SIUE East St. Louis Charter High School math teacher and botball coach attested to his team’s efforts. “My team put a lot of work into this competition,” shared Mosley. “They worked hours in the evenings and on weekends.” The team spent some of those evenings training with SIUE engineering students. The SIUE Charter School botball team members are all East St. Louis natives and plan to pursue collegiate studies in engineering and computer programming. Currently, the SIUE Charter School botball team and Mosley are working to raise funds to attend the Global Conference on Educational Robotics to which they were invited. The conference will be held this July in California. Possibly one day, in this age of heightened national security, robots will be seen fueling planes and loading and unloading baggage. But in the meantime, middle- school and high-school students got a chance to showcase their technology and engineering skills with robots at a mock airport during the 2011 Greater St. Louis Botball Regional Tournament that took place on the campus of Southern Illinois University Edwardsville. “By participating in this competition, students developed skills, as well as gained a sense of accomplishment whether or not they decide to go into the engineering field or another technical area,” said Jerry Weinberg, acting associate provost for research and dean of the SIUE Graduate School. The School of Engineering hosted the fifth annual regional Botball Tournament in partnership with KISS (Keep It Simple Students) Institute of Practical Robotics, a nonprofit organization designed to improve understanding of science, technology engineering and math. A total of 17 teams from four different states participated in this year’s competition, Weinberg said. The team winning first place in the Overall Category was Wolf Branch Middle School in Swansea. Teams were judged on how well they designed and programmed the robots, and documented their work. All schools participating had worked for two months designing, building, testing and documenting their robots. This years’ Robot Carnival, held March 7, hosted 24 third through fifth graders with 12 EHS students working hard to prepare the camp and provide technical support to camper teams. Along with EHS teachers, SIUE computer science students Aaron Parker, Nate Roney and Michael Barringer contributed their expertise. For more information about the Robot Carnival, please contact Hagin at ash56@sbcglobal.net. The SIUE American Society of Civil Engineers (ASCE) Student Chapter met with and competed against several other top Midwest university ASCE student chapters at the 2011 ASCE Midcontinent Regional Conference April 28-30, hosted by Kansas State University in Manhattan, Kan. Activities at the annual conference include several competitions and presentations for students to exhibit their engineering projects and competitive spirit. The Steel Bridge team came home with three awards – First Place for Display and Aesthetics and Third Place for Stiffness. Team Captains were Jack Deeken, Tyler Whitney, Evan Taylor. Team members included Jacob Allen, Jessica Eichhorst, Ray Reynolds, Luke Potthast, Anthony Falkowski, Cody Wolff, Aaron Haverfield, Daniel Woehl, Bryan Bartnik, Gary Whiteside, and Sandy Walter. Special mention goes to Cody Wolff for the outstanding welding job he did, and you can see the bridge on display in the atrium. There were 12 teams competing this year. The Concrete Canoe team came in 4th place overall but also brought back several awards – First Place for Men’s Sprint and Women’s Sprint races; Second Place for Co-ed, Women’s Endurance and Men’s Endurance races; Third Place for Design Paper. Team Captains were Jared Deimel and Blake Wilson. Team members included Jessica Eichhorst, Sandy Walter, Melissa Strzelczyk, Jared Boeser, Will Peabody, Michael Voigts, David Dixon, Kate Sodam, Joe Fehrenbacher, Matt Combes and Brad Ripley The boat still looks great and is on display in the atrium. Jessica Eichhorst won First Place for her technical paper, “Ethics and the ASCE Report Card for America’s Infrastructure”. There were 12 entries this year. Melissa Strzelczyk, Sandra Walter and Jessica Eichhorst received the Second Place Award for the Mystery Event (making a balloon boat that had to travel a certain distance and hold a load). For more information, contact Brent Vaughn, SIUE ASCE Student Chapter Faculty Advisor: bvaughn@siue.edu. “Discontinuous Dynamical Systems on Time-varying Domains” is one of six monographs written by Albert Luo, a professor of mechanical engineering in the Southern Illinois University Edwardsville School of Engineering. The monograph, originally published in 2009, was translated and subsequently published in both Russian and Chinese in 2011. Luo’s book is the first to focus on this topic to change traditional thinking caused by calculus. The discontinuity causes our world to be diversified, complicated and chaotic. His research interest lies in the nonlinear theory of dynamical systems. His main contributions are in a stochastic and resonant layer theory in nonlinear Hamiltonian systems, singularity on discontinuous dynamical systems, and approximate nonlinear theories for a deformable-body. For more information, Luo may be reached by e-mail: aluo@siue.edu. Jessica Eichhorst, a senior civil engineering major in the SIUE School of Engineering, left a lasting mark at the 2011 Mid-Continent Student Conference Technical Paper Competition sponsored by the American Society of Civil Engineers (ASCE). Out of participants from more than10 colleges and universities, Eichhorst earned first place in the competition last month at Kansas State University. Eichhorst’s technical essay, “Ethics and the ASCE Report Card for America’s Infrastructure,” shared the name of the topic for the competition. Aside from completing the essay, Eichhorst also gave a presentation on major points from her paper. The award for her stellar performance included a glass plaque and $400. SIUE treatment plant staff Rick Lallish, Kurt Neuhaus, and Kim Bateman receive the trophy for "Plant of the Year" at the Illinois Association of Water Pollution Control Operators annual awards banquet on April 20th. Southern Illinois University Edwardsville has received recognition for water pollution control from the Illinois Association of Water Pollution Control Operators (IAWPCO). At its Annual Awards Banquet last month, the IAWPCO selected the SIUE wastewater treatment plant as Plant of the Year in its class. The Regional Office of the Illinois Environmental Protection Agency nominated the plant last fall. The plant is run by SIUE’s Office of Facilities Management and is overseen by Rick Lallish and Kim Bateman, instructors at the Environmental Recourses Training Center of the School of Engineering. The SIUE wastewater plant is classified as a Class II facility because it treats less than one-million gallons daily. Lallish, Bateman and Kurt Neuhaus, another member of the operations team, accepted the three-foot tall IAWPCO trophy during the banquet ceremony at the Crowne Plaza Ballroom in Springfield. Because it has been reported that roughly 60 percent of business enterprises fail, Southern Illinois University Edwardsville’s School of Business and the Collegiate Entrepreneurs’ Organization (CEO) joined forces to introduce “The Other 40,” a showcase of student talent and enterprise to promote business success. The competition was created to promote student entrepreneurship and innovation by providing individuals with the resources, skills and incentives required to launch businesses from initiation to incorporation. More than $10,000 in cash and support was awarded to the top three students and/or student groups based on innovation, achievement and growth potential. • $5,000 for first place—Eric Trey Garrison, a junior business major, for the e-Scene. Garrison described his business idea as “a safe, affordable, non-alcoholic facility targeted toward students and young adults,” tasked with bringing “a high quality music venue to engage Edwardsville and the surrounding area” with local and national musical acts. Engineering majors, for their idea for a Virtual Reality Bicycle Application company bringing virtual reality concepts to the home or gym. The project was described as “a startup company with a working prototype of a bicycle adaptation kit that allows users full control of Google Earth, while pedaling and steering.” Users can enjoy the virtual experience of cycling through the Grand Canyon or the mountains from the comfort of their living room or the local fitness center. Each of the winning ideas was awarded a professional service support package in addition to their cash prize. Members of CEO consulted with SIUE School of Business leadership to organize the competition. Within six months of the birth of the idea for “The Other 40,” the group established the competition, secured the prizes and professional service support, and brought the project to life. Schoenecker said the ideas that took the top prizes were the furthest along in the business development process, or, the closest to becoming a reality. More than 30 ideas were submitted for consideration. Participants in the program took part in a series of entrepreneurship workshops aimed at helping them build the skills they would need to succeed in the competition, as well as in later business pursuits. The students then were required to submit a one-page executive summary outlining their business plan. Those selected based on the one-page executive summary were asked to submit a full business plan. After that, the finalists were chosen to make a “pitch,” presenting their idea in less than three minutes before a panel. The SIUE student chapter of the American Concrete Institute (ACI) made a solid finish in the recent Fiber Reinforced Polymer Composites Competition, placing fourth in the international competition. On April 3, the SIUE team made an impressive showing amongst competitors from as far away as Canada, Mexico, Turkey and Puerto Rico at the ACI 2011 Spring Convention in Tampa, FL. Individual teams designed and created a fiber reinforced polymer-concrete composite beam or arch structure that sustained great strength and was also cost effective. Anne Werner, assistant professor of construction management and faculty advisor of the SIUE ACI chapter, believed the team thrived in achieving these goals. “There were 31 teams competing at the Spring Convention so it was a very challenging environment. A fourth place finish for SIUE is outstanding given the level of competition,” Werner said. For Ryan Fries, assistant professor of civil engineering at SIUE, excellence in instructing his students is the standard, and his mark of excellence in teaching has been recognized and awarded again. In addition to the prestigious national 2011 ExCEEd New Faculty Excellence in Teaching Award from the American Society of Civil Engineering, Fries was recently named the recipient of the 2011 Central District Excellence in Teaching Award from Chi Epsilon, the National Civil Engineering Honor Society. Fries was nominated by the SIUE Chi Epsilon student chapter members in December 2010. He was selected as the standout professor to receive the high honor among many candidates from the 14 chapters that comprise the Central District. This is the second time a SIUE civil engineering professor received the honor since the induction of the chapter in 1997. Mark Rossow, Emeritus Professor, was the first. The SIUE School of Engineering’s Environmental Resources Training Center (ERTC) is ready to beam with ‘green’ energy. The ERTC recently completed the installation of its alternative energy project consisting of a 120-foot wind turbine and 140 photovoltaic (solar) panels. Both features are anticipated to annually generate up to 40 percent of the electricity to operate the Center’s training-scale wastewater and drinking water treatment plants, laboratories and research offices. The ERTC is the training center for water and wastewater treatment operators for the state of Illinois. The operators trained at the ERTC are responsible for providing the University and surrounding area with clean water that is safe to drink and use for sanitary purposes. In achieving this purpose, ERTC Director Paul Shetley said center staff members were eager to implement resource conservation techniques that pulled from what nature freely offers–wind and sunlight. Shetley added, “As our world changes and time goes on, the importance of finding alternative, affordable energy resources is huge,” and the ERTC is doing just that with this green initiative. Shetley said the wind turbine and solar panels, funded by the Illinois Clean Energy Community Foundation (ICECF) and the Illinois Environmental Protection Agency, will not only offer electrical power but will empower minds. School of Engineering and ERTC students will receive firsthand instruction on how the new, greener, energy sources power the building, as well accomplish research that is conducted at the ERTC. The ERTC offers courses to students interested in careers in water pollution control management, as well as refresher courses for current plant operators. Under a proposal considered today by the Southern Illinois University Board of Trustees, students enrolled in the new Doctor of Nursing Practice (DNP) program through the SIU Edwardsville School of Nursing would pay $650 per credit hour. The new rate would be in effect for fall and apply to Illinois residents and out-of-state residents. In related business, the board also considered two other alternate tuition change proposals that would mean lower tuition rates for high-achieving international students and new tuition rates for non-resident students who are participating in the dual diploma program with the Istanbul Technical University (ITU) in Turkey. That program is conducted by the SIUE School of Engineering. All three proposals will be up for final approval at the board’s May 12 meeting to be conducted at SIUE. The DNP tuition proposal would make SIUE’s primarily on-line program the least expensive of four of its five nearest program competitors. The DNP degree is the preferred advanced practice degree in nursing rather than the master of science in nursing. This change is in response to the occupational demand from the nursing profession that by 2015 MSN degrees be replaced by DNP degrees. For the first three years of the DNP program, the School will admit post-masters students only; thereafter post-baccalaureate students will be admitted as well. DNP enrollment will be stabilized at 200 students, which is consistent with current graduate enrollment numbers. Under a rate change proposal for high-achieving international students, such students would pay 1.2 times the in-state tuition rate. Current international students are paying 2.5 times the in-state rate. The new proposed rate structure is part of an enhanced international undergraduate recruitment initiative to increase enrollment of talented international students to promote global awareness and a campus climate of academic excellence for all students. The third proposal considered today by the board would establish a tuition rate of $7,050 per semester for engineering students in the ITU dual diploma program, about 33-percent lower than the regular out-of-state rate. ITU dual diploma students are now paying $5,794 per semester. The program brings talented students from ITU to study at SIUE. This program also assists the Republic of Turkey expand its capacity to deliver higher education to its citizens, and enriches the global diversity of the students at SIUE. The initial program under this collaboration is a bachelor’s in industrial engineering. Ryan Fries, assistant professor of civil engineering in the SIUE School of Engineering, will receive the prestigious national 2011 ExCEEd New Faculty Excellence in Teaching Award from the American Society of Civil Engineering (ASCE). Fries will accept the honor at an American Society of Engineering Education conference in Vancouver, Canada, on June 28. Susan Morgan, professor of civil engineering and chair of that department, shared her excitement for Fries and was delighted that he was selected. “He is well-deserving of this award,” said Morgan. “The SIUE Department of Civil Engineering hired Ryan expecting him to be an excellent teacher and colleague, and he has lived up to our expectations.” Fries, an expert in transportation systems and safety, joined the School of Engineering in fall 2008. Seventeen teams from around the region will compete— including teams from Indiana, Illinois and Missouri—at the Southern Illinois University Edwardsville School of Engineering Annual Greater St. Louis Botball Educational Robotics Tournament, set for Saturday, April 30, in Meridian Ballroom, on the first floor of SIUE’s Morris University Center. Seeding rounds begin at 10 a.m. and double elimination rounds commence at approximately 1:30 p.m. at the tournament, which is free and open to the public. The Botball Educational Robotics Program engages middle- and high-school-aged students in a team-oriented robotics competition that develops students’ science, technology, engineering, computer science and math skills. Home schoolers and community teams are also welcome to participate. In Botball, all the design, coding, and building of robots is done by students, and no machining is necessary. Each Botball team will consist of five to 20 middle and high school students who will design, build, program and document a single or pair of autonomous robots (without remote controls). The tournament challenges participants to program robots that navigate a game board, transport and pick up various colored objects and go head-to-head against other robots. The theme of this year’s tournament games is “Botball Airport Renovation.” To score points the robots must load “unclaimed luggage into matching baggage carts,” transport “airplanes” to the “runway,” move “bio-fuels” to a manufacturing facility and erect a new “control tower” on a tarmac. Finally, “Botguy,” the mascot of Botball, must be transported from the terminal to the top of the new control tower. The Greater St. Louis Botball Program started with a two-day, hands-on professional development workshop for educators on March 5-6 at the SIUE’s School of Engineering. At the workshop, teams received instruction in addition to their reusable kits of robotics equipment. Each kit will be used for competition and will be kept by the school or team to be integrated into the classroom or extracurricular activities. This ensures that schools will be able to continue growth in science, math and technology curricula through robotics after the Botball season is over. NASA, which has sponsored Botball for more than a decade, utilizes autonomous robots in space and planetary exploration. NASA also uses Botball as an opportunity to reach out to its future workforce members to help them acquire relevant hands-on experience and skills. Additional regional sponsorship was provided by Basler Electric Company, Hal and Jean Gentry, and Kay and Paul Guse. The SIUE School of Engineering has been very proactive in using Botball to reach out to middle- and high-school students, helping to prepare and motivate individuals who may one day attend SIUE. Last year, SIUE hosted the Global Conference on Educational Robotics, which attracted more than 500 students, families and educators to campus. For more information about Botball, visit the website: www.botball.org or contact by e-mail: outreach@kipr.org. This spring and summer will prove to be quite busy for several SIUE School of Engineering professors. Their passion for engineering has allowed them to extend their reach from labs and classrooms to industry professionals on various other continents. Louis Youn recently returned from Hanyang University in Seoul, Korea, just two weeks ago. The professor of electrical and computer engineering, who also is chair of that department, gave a seminar lecture, “Optimal Operation of On-site Generating Facility with Storage Unit.” He is not the only professor from his department on the move internationally. Assistant electrical and computer engineering Professor Ying Shang will be a visiting professor at the University of Angers in France in July. Shang said she will collaborate with researchers on a project titled “Control Theory for Max-Plus Linear Systems.” Shang anticipates that the project’s outcomes will help design optimal time tables for public transportation systems and better calculate processing times in manufacturing production lines in addition to analyzing the service performance in computer networks. In May, Mechanical Engineering Professor Keqin Gu, who also is chair of that department, will visit three universities in China: Zhejiang University, Nanjing University of Science and Technology and Henan University of Science and Technology. Gu will present his research achievements on time-delay systems. He added, “The topic has gained prominence due to its applications to computer networks and bioengineering.” Gu is also an invited speaker at the 18th World Congress of the International Federation of Automatic Control in Milan, Italy, in September. Serdar Celik, an assistant professor of mechanical engineering, is invited to Istanbul, Turkey, in May to present “Sustainable Buildings and Green Roofs” at the Workshop on the Architecture and Engineering of Sustainable Buildings sponsored by the National Science Foundation. In June, Celik will present more on green roof systems in Turkey, once at the Sixth International Green Energy Conference and then at the 17th International Energy and Environment Fair and Conference. Brian Cox did more than lay a solid foundation for his career by graduating from the SIUE School of Engineering construction management program in 2009; he also built a legacy. Cox is the first graduate of the Construction Careers Center (CCC) to earn a degree from a four year institution and was honored for this achievement at the 10th Anniversary Celebration of the CCC held at the Millennium Hotel on Feb. 10. The Construction Careers Center is a charter high school in St. Louis sponsored by the Associated General Contractors of St. Louis. The CCC specializes in educating skilled graduates in the construction industry. Cox’s preparation from high school and college allowed him to intern at ABNA Engineering, S.M. Wilson, Cissell Mueller and MODOT while attending SIUE. The SIUE School of Engineering Industrial and Manufacturing Engineering (IME) Program is offering multiple merit-based awards of up to $2,500 annually to qualified students. The IMERIT Award will be used to recruit talented students to the IME Program. Recipients must be U. S. citizens or residents and be newly enrolled in the School’s IME program. For more information, contact Program Chair H. Felix Lee, hflee@siue.edu. Each year, the American Council of Engineering Companies of Illinois (ACEC-IL) awards numerous scholarships to engineering students throughout the state. ACEC-IL recently released the names of the 2011-2012 recipients, and SIUE students comprised almost half of the total number of awardees. Out of 25 applicants from universities throughout Illinois, including Northwestern and University of Illinois at Urbana-Champaign, the ACEC-IL awarded scholarships to 11 worthy applicants for the 2011-2012 academic year. Out of 11 recipients, five SIUE engineering students won prestigious scholarships sponsored by various engineering companies and representatives that participate in the ACEC-IL. The SIUE engineering student winners are: Paul Cayo (industrial and manufacturing engineering), Damien Di Vittorio (civil engineering), Kim Luebcke (mechanical engineering), Erica Miller (industrial engineering) and Melissa Strzelczyk (civil engineering). SIUE engineering faculty and staff with delegates from HUST. The SIUE School of Engineering extended its international reach when it partnered with Istanbul Technical University to implement the Dual Diploma program, and the School has not stopped there in making international connections as seen by a recent visit from Henan University of Science and Technology (HUST) in Luoyang, China. Engineering representatives from HUST paid the School of Engineering a special visit from March 3-7. The HUST delegates, led by Jishun Li, endowed professor of mechanical engineering, are working to gain firsthand knowledge of the cutting-edge research and activities in engineering in the United States. SIUE mechanical engineering faculty and doctoral students helped the visitors in their pursuit by delivering 10 research presentations. Along with gaining engineering insight, HUST delegates and SIUE engineering faculty also discussed their new partnership, which will permit graduate students the opportunity to study one year at HUST and one year in the SIUE School of Engineering to receive a master of science in Mechanical Engineering. Once officially approved, this graduate-level partnership will be the first of its kind at SIUE. In 2008, Gu took several students to HUST for a study-abroad program. HUST is situated in the ancient capital of the nine dynasties of Chinese history. The university is known for strong engineering programs that have close connections to the significant industrial base in that region. In a matter of only months, students will wrap up the school year and leave for the summer, but Serdar Celik will still be going strong as he goes global. Celik, an assistant professor of mechanical engineering in the SIUE School of Engineering, received an all-expenses paid invitation to be one of the main speakers at the Workshop on the Architecture and Engineering of Sustainable Buildings in Istanbul, Turkey, from May 16-19. Celik will present the findings of his ongoing research in “Sustainable Buildings and Green Roofs” to conference attendees, including engineers from around the world. Celik’s research is an interdisciplinary effort with the involvement of Susan Morgan, professor and chair of the Department of Civil Engineering, and Bill Retzlaff, associate dean of the SIUE College of Arts and Sciences. The workshop is sponsored by the National Science Foundation and the Scientific and Technological Research Council of Turkey. Luebcke, who will use her scholarship for educational expenses during the 2011-2012 academic year, worked with Serdar Celik, assistant professor of mechanical engineering, to start an SIUE chapter of ASHRAE for which she is currently chapter president. The SIUE School of Engineering honored its most outstanding juniors, seniors, graduate students, alumni and teachers from each department Feb. 15 at the School’s Fifth Annual Awards Banquet. Two faculty members, Dr. Sohyung Cho and Dr. Huagao Zhou, also were recognized for remarkable research. Approximately 300 School of Engineering students, faculty, staff, alumni and friends attended, and throughout the evening Group Anatolia provided attendees with a beautiful mix of Turkish folk music. Ed Grady, a 1972 urban and environmental engineering graduate, served as keynote speaker, offering an inspirational and informative speech about his time at SIUE, his impressive career and lessons he has learned throughout life. While the world of image processing may attract engineers initially, Umbaugh understands just how important this work and advancements in the field are to all mankind, particularly in the medical field. Many of the imaging tools and applications covered in this text aid medical doctors in the early detection of skin cancer, brain tumors, diabetes and various other medical pathologies. Umbaugh’s new and improved text is not only guiding students and practitioners on a deeper level but it is serving as the basis for discovering traces of a life-threatening disease early enough to quite possibly save a life, one image at a time. Umbaugh uses the text book at SIUE in two courses: Image Analysis and Computer Vision (ECE 438) and Digital Image Processing (ECE 439). Despite the fact that the first version of the book has been adopted by many reputable engineering schools here in the United States and abroad, Umbaugh hopes that this second edition book with full-color images throughout will captivate even larger national and international interest than before. The book’s first edition software produced more than 15,000 downloads in 50 countries since 2006. The SIUE School of Engineering will host the Fifth Annual School of Engineering Awards Banquet on Tuesday, Feb. 15, from 6 to 9 p.m. in Meridian Ballroom, on the first floor of SIUE’s Morris University Center. This event, held yearly since 2007, celebrates the academic excellence, service and leadership of both students and faculty in the School of Engineering. The evening will feature distinguished engineering alumnus and entrepreneur Ed Grady as guest speaker and includes dinner and a cash bar. “Last year’s banquet attracted more than 260 guests,” said Engineering Dean Hasan Sevim. ” The School of Engineering hopes to celebrate this year with even more students, alumni, faculty, staff and friends.” All tickets, $25 for guests and $5 for students, may be purchased through the dean’s office. To RSVP and for more event information, student sponsorship opportunities and ticket sales, visit the website: www.siue.edu/ENGINEERING/banquet/, or by e-mail to Veronica Hoversten: vhovers@siue.edu.